At Custom Coffees, we make it easy to create your own exceptional blend. However, brewing that perfect cup of coffee isn’t always as easy as flipping on a coffee maker. With a little know-how, making a perfect cup of perfect coffee is easy. The right grind makes the best cup. 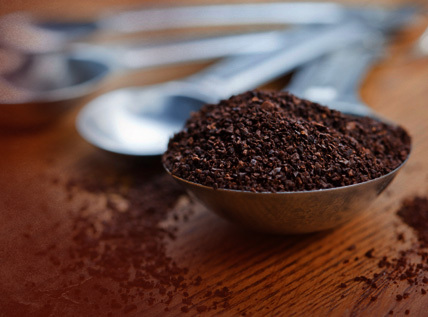 Even if your coffee maker is clean, your water is filtered, and your coffee is fresh, you can’t make the perfect cup of coffee unless you select the right grind for your chosen brewing method. Custom Coffees uses the following scale to match a grind for each kind of brewing process, machine, and tool. Select the grind based on the brewing process. Finer grinds (the larger numbers) create particles that are uniform in size, which is necessary if you’re making espresso. Coarser grinds (the smaller numbers) create particles of varying sizes. This is done intentionally to create additional complexity in the cup. After you’ve chosen the grind, watch the water. Adding too much water when brewing will draw out bitters and other undesirables in your coffee. The coffee may look weak, but taste bitter. If not enough water is used to brew, the coffee will taste strong and bold, but will lack its distinct varietal characteristics.